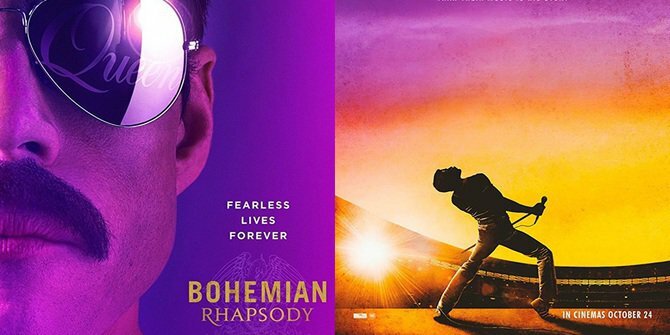 “Bohemian Rhapsody” is a paint-by-numbers biopic relying almost entirely on its stellar soundtrack to please audiences. This will likely satisfy most viewers because the music is the main draw of the film, but this movie had the potential to be so much better. Rami Malek, star of USA Network’s “Mr. Robot,” is absolutely phenomenal as Freddie Mercury and is by far the best aspect of the film, independent of the music it is based around. Malek worked with movement coach Polly Bennet to help him embody Mercury in his more nuanced mannerisms. Their work paid off. Malek becomes Mercury and is an absolute blast to watch, especially during the Live Aid performance in the film’s show-stopping finale. However, anyone expecting the never-before-heard story of Queen and Mercury will be disappointed. The contents of the Queen and Mercury Wikipedia articles will be more detailed and more accurate. The film briefly explores Mercury’s infinitely complex relationship with Mary Austin, and it would have benefitted greatly if it had dedicated more time to this. The rest of the movie is just Mercury and his bandmates in the studio, on tour or in meetings with their manager (“Game of Thrones” star Aiden Gillen) or record executive (Mike Myers doing a toned-down “Shrek” voice). It is just not all that interesting. The directing is also surprisingly poor coming from Bryan Singer (“The Usual Suspects” and the “X-Men” series). Though Singer is the only credited director, he did not finish shooting the film. After a streak of unprofessional behavior, such as showing up hours late or not showing up at all for two weeks, Singer was fired from the production and replaced with a comparatively inexperienced director, Dexter Fletcher (2015’s “Eddie the Eagle”). It is safe to assume the studio got him as the replacement because he is currently working on another music biopic centering on an eccentric personality and gifted performer, the upcoming “Rocketman” about Elton John. It is not clear how much filming was needed after Fletcher was brought on, but it is clear the post-production was done entirely under his direction. This becomes apparent with the terribly unnatural editing in the film. There are a ridiculously large number of montages throughout “Bohemian Rhapsody.” It would not be surprising if Fletcher viewed the footage Singer had already shot, did not know where to put it and decided to put it into a series of stereotypical montages instead of axing it altogether. There is a scene when the band is on tour, which cuts between them performing around the world and shouting “We love you (fill in the blank),” indicating what cities they are in. No more than a half hour later, they are on tour yet again but this time, the cities they are performing in are indicated with stylized text flying at the screen (“Tokyo,” “Osaka,” “Detroit,” etc.). Far less important is the font of the opening credits, which is a strange choice as it has more of an African theme instead of something more fitting for the subject matter. The blame for these choices can still be attributed to Singer, though, because were it not for his unprofessional behavior, he would have been there to do his job as director for the entire production. This is not Fletcher’s project, it is Singer’s and any mistakes made on the film are his responsibility. The legacy of Mercury and Queen deserved a better movie than this. Malek’s performance deserved a better movie than this. Fans of the music will be entertained, but there is nothing here that could not be gained from watching a concert film, other than more impressive cinematography.